Daktronics announced their continued partnership with the Los Angeles Angels to bring 14 LED displays totaling more than 23,000 square feet to the venue for the 2018 season. The new right field video display will be the third largest in Major League Baseball at 9,500 square feet. It will feature 7.7 million LEDs and would take a total of 890 60-inch televisions to cover the entire display. The new display in left field will measure 5,488 square feet. Both displays will feature 13HD pixel layouts and 11,000 nits of brightness, the industry-leading solution for outdoor stadium technology, to bring excellent image clarity and contrast to fans in every seat. 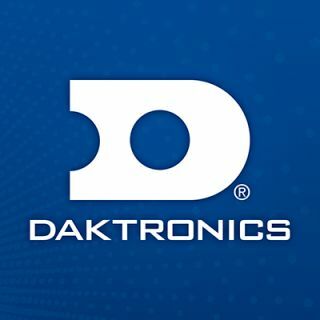 The project upgrades Daktronics technology that has been operating since its installation in 2004. With the new project, a total of 17.1 million LEDs will light up to improve the fan experience in and around the stadium. These displays are capable of variable content zoning which allows them each to show one large image or to be divided into multiple windows to show any combination of live video, instant replays, up-to-the-minute statistics, graphics and animations, and sponsorship messages. Eight ribbon displays totaling 1,168 feet in length will be installed along the seating fascia to provide additional statistics and graphics as well as providing opportunities to highlight sponsors throughout events. The largest of these will include the entire fascia length along the first and third baselines. Two auxiliary displays will provide a total of 2,500 square feet of digital space for supplemental content to keep fans engaged. These 10 displays all feature the same 13HD pixel layout as the main displays. A new “Big A Marquee” digital billboard along the 57 freeway will welcome fans and promote upcoming events.